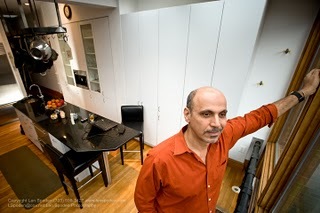 As part of The Washington Post's Feels Like Home article, I had the pleasure to meet Andy Shallal. Andy is originally from Iraq and still has family living in the country. It was interesting to get the perspective of the Iraq War from someone who has first hand knowledge of what it is like to live in Iraq under the current conditions.